In order to provide outstanding industrial, commercial and domestic liquid waste transport solutions, Boyne Waste Services operate an exceptional fleet of specialist vehicles, including a spectacular new JHL SuperFlex unit fitted onto a Scania body. We caught up with director Terry Kearns to find out more about the fabulous fleet and the comprehensive range of professional services provided. 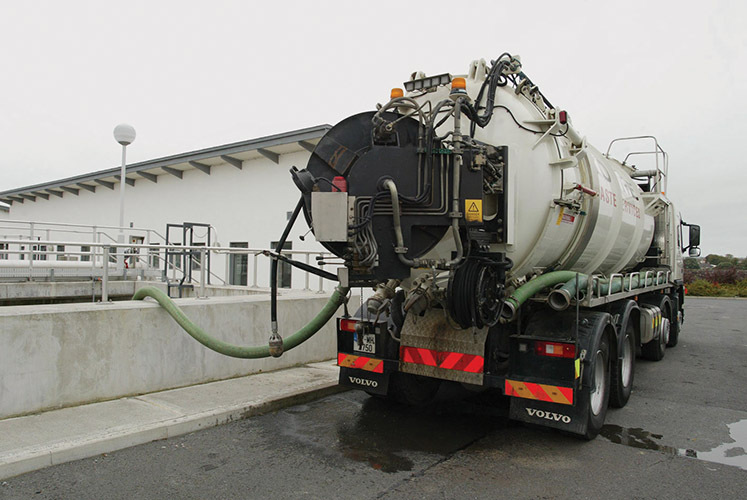 No expense is spared in ensuring that Boyne Waste Services’ liquid waste management fleet is perfectly-formulated to deliver safe, efficient, rapid and environmentally-sound solutions nationwide, from bulk haulage, drain cleaning. grease trap and industrial sludge removal to the cleaning of interceptors, septic tanks and sump pumps. Traditionally, Boyne Waste Management have always run Volvo trucks, although the last three additions to their modern fleet have been Scania, including a truly top-of-the-range acquisition in March – the only one of its kind currently in use in either Ireland or the UK! Meanwhile, Boyne Waste Services’ artic suction tankers each boast a 6,500-gallon capacity while their rigid suction tankers can carry up to 4,500 gallons. Each with 4,000-gallon capacity, their jet vac trucks are equipped with state-of-the-art technology, jet heads and fully hydraulically operated suction booms. Since its inception, Boyne Waste Services has always provided a high-quality service, using the best equipment on the market and fully embracing modern technology and the latest techniques to ensure that every job is completed as economically and safely as possible. Everything is geared towards providing excellent services using modern equipment operated by experienced and trained personnel to achieve 100% customer satisfaction at affordable rates. From its Navan, County Meath HQ, Boyne Waste Services offers keen nationwide liquid transportation services, predominantly covering Leinster counties as well as parts of Connacht and Munster. “It’s going very well at the minute and we’re very busy, Thank God,” Terry notes. Boyne Waste Services have their own workshop and all their vehicles are maintained in-house in superb running order and also washed and cleaned regularly and presented immaculately. In total, gainful employment is generated for a crew of 28. Boyne Waste Services provide the latest technology in CCTV drain / sewer surveying for checking the condition of underground drains quickly and cost effectively. Fully-equipped van units complete with CCTV push-rod cameras (with full pan and rotate facility) alongside computers and Wincan software for evaluation and reporting allow trained technicians to record blockages and pipeline defects accurately on site with no disruption to the business or property. Boyne Waste Services is also equipped with high-spec drain cleaning equipment and offers premium drainage services. The fleet includes a combination of drain cleaning / vacuuming vehicles for removing unwanted material (grit, sludge, etc.) from drainage systems - quickly, cleanly, safely and efficiently. The following drain services are offered: blocked drain solutions, septic tank / cesspool emptying; culvert cleaning; ditch dredging; gully cleaning grease traps cleaning; interceptor cleaning; jetting services; and motorway drain cleaning and maintenance. Proteins in Nobber, County Meath. Interceptor cleaning and maintenance services are provided to petrol stations and garages, while Boyne Waste Services also offer professional solutions for the mechanical removal of residual semi-solid material from industrial, water treatment or wastewater treatment processes. Jet-Vac Combination Trucks equipped with state-of-the-art technology, jet heads and hydraulically-operated suction booms ensure the expert removal of sludge and sediment that has collected on the bottom of tanks, reservoirs etc. “So far so good and things are really starting to look up again. August is usually our quietest month because a lot of the Councils are away on holidays but generally we are very busy,” concludes Terry, who runs the business alongside Fintan McGeough. 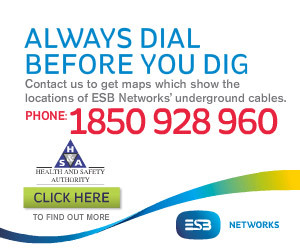 “Fintan is an engineer and he oversees all the camera work as well as patching, repairing and sealing defective pipes.